Governor Cuomo unveiled a number of environmental priorities this week in his state of the state address, including one that’s been a bit more controversial. Part of Governor Andrew Cuomo's environmental policy agenda includes a ban on plastic bags. "You look at the damage done by plastic bags, it is everywhere, hanging from trees, in water, in every community across the state. Let's once and for all step up, I know it isn't easy, I know everyone has an opinion. Let's ban plastic bags once and for all," Cuomo said to applause on Tuesday. Mike Durant is President of the Food Industry Alliance of New York, which represents the state’s supermarkets. "The plastic bag ban is probably the number one issue of concern for the retail food industry of New York." He says they’ve been a champion of encouraging customers to recycle plastic bags and switch to reusable ones. But Durant thinks the governor’s plan will cause shoppers to ask for paper bags, which have a higher carbon footprint when you factor in manufacturing, shipping, and storage. "Just by putting a ban on one is not going to drive consumers to buy or take advantage of reusable bag giveaways. A more sustainable solution to help the environment and the industry would be to address paper and plastic in a variety of different ways." Hanna Ring agrees the governor's proposal needs to address paper bags. She's CNY program coordinator at Citizens Campaign for the Environment. "We definitely would need a ban on plastic bags coupled with a five cent fee on paper bags in order to effectively change public behavior. 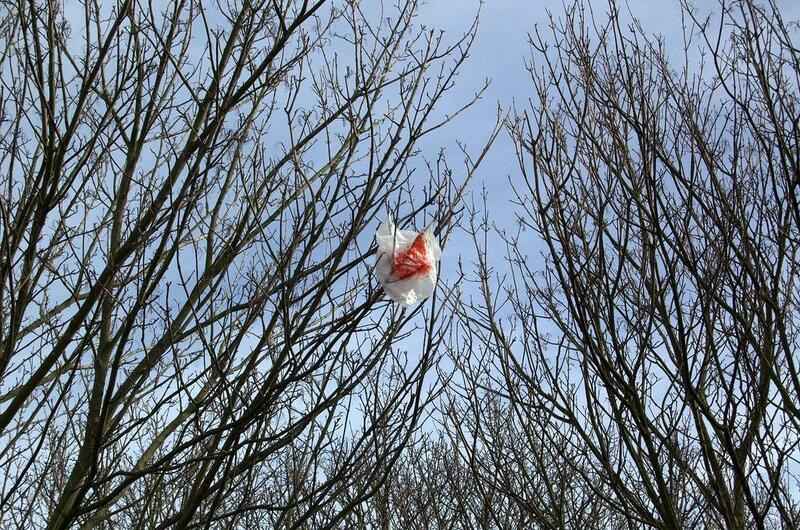 It's critical that we don't solve the plastic bag problem by just exacerbating another problem." Suffolk County on Long Island has the toughest local law so far; stores there charge a fee for both plastic and paper bags. Durant with the Food Industry Alliance says that resulted in an 80 percent increase the adoption of reusable bags. Ring with the CCE says it’s a great example of how fees can work, but an outright ban on plastic bags is the best way for the state to address a serious environmental problem. Governor Cuomo has announced legislation to enact a ban on single-use plastic bags at all retail and grocery stores in New York State. While most agree that reusable fabric bags carried in and out of stores are the best option when it comes to cutting back on pollution, not all agree that plastic bags should be taken out of the equation completely. Local organizations have mixed opinions about this opposed ban. Twenty-three billion. That’s the number of plastic bags New Yorkers use every year. Governor Andrew Cuomo recently launched a task force to address the issue. Onondaga County Resource Recovery Agency Executive Director Dereth Glance says plastic bags never really break down and decompose. If they’re not recycled properly, Glance says they can cause harm to the environment. Environmental groups in New York see danger…and opportunity in the Federal government’s series of reports last week about the implications of climate change. The report cautioned that failure to address the issue could be detrimental, specifically that in-action would severely damage the American economy over the next half-century. The climate report released by the federal government has left local environmental agencies pushing for opportunity for change.